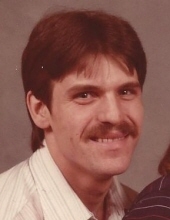 Jeffrey “Jeff” Lynn Poore, 57, passed away Sunday, November 11, 2018, at Bryan Medical Center West in Lincoln, Nebraska. We imagine Jeff is running up and down the streets of Heaven, no more tubes and monitors, no more oxygen, no more pain. Private family services are to be held. In honoring his wish to be cremated there is no viewing or visitation. DeWitt Funeral Home and Cremation Service is handling arrangements. Jeff was born September 28, 1961, in Hastings, Nebraska to Delbert and Ruth (Pittz) Poore. He graduated from Hastings High School in 1979. After graduation, Jeff lived for a short time in Oklahoma before returning to Hastings. On March 23, 1984, he married Coral Karabel in Hastings, Nebraska. They lived in Hastings where they raised three children, Jessica, Jeffrey, and Stephanie. They later divorced. Jeff was employed at Allen’s Foodmart for several years and retired from Nebraska Aluminum Castings in 2013 due to health reasons. Jeff loved his family as well as Nebraska Football and horse racing. Preceded in death by his father; grandparents; nephew, Ryan Guest; grand-niece, Sera Dodson; brother-in-law, Gary Dodson. Broken hearted and left to cherish his memory are daughters, Jessica Heuertz (Matt Schwartz) and Stephanie Poore (Jeremy Hetrick); son, Jeffrey Poore; mother, Ruth Poore; grandchildren, Easton, Grace, and Brantley Heuertz, Kaeden, Emalee, and Jackson Poore, Madison and Aiden Adsit, Victoria and Henry Hetrick; sisters, Justine Dodson, Christine Guest, Diana (Richard) Winslow, and Veronica (Bill) King; brothers, Darrel and Steve; aunt, Darlene Wilson; uncle, Bobby (Carol) Poore; along with numerous cousins, nieces, nephews and friends. To send flowers or a remembrance gift to the family of Jeffrey "Jeff" Lynn Poore, please visit our Tribute Store. "Email Address" would like to share the life celebration of Jeffrey "Jeff" Lynn Poore. Click on the "link" to go to share a favorite memory or leave a condolence message for the family.